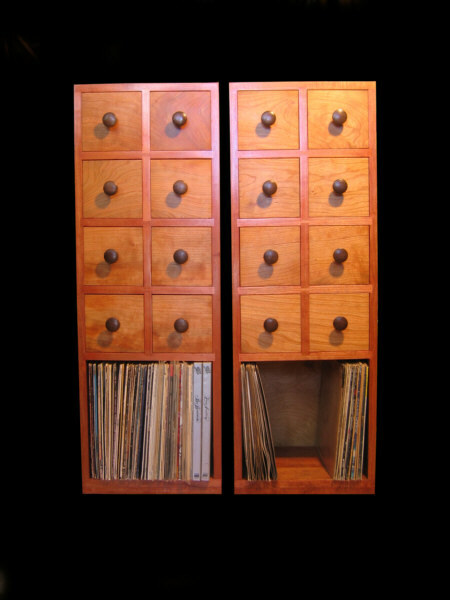 This is a vertical chest of drawers comprised of 8 drawers sized to hold Cds and a lower storage area that can hold 60 - 70 vinyl record albums. 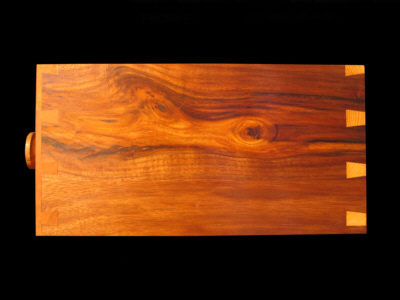 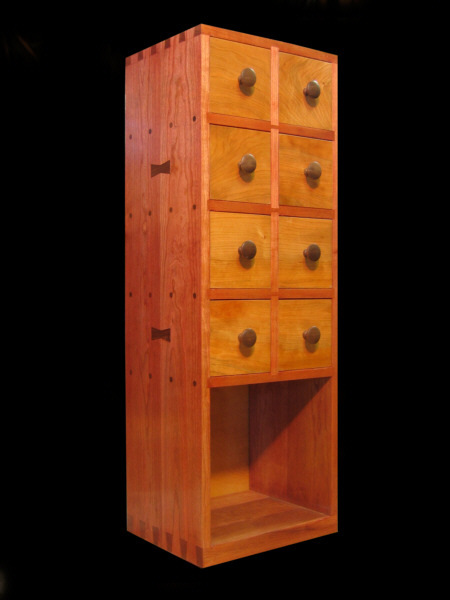 Made of cherry with contrasting stain and natural finish. 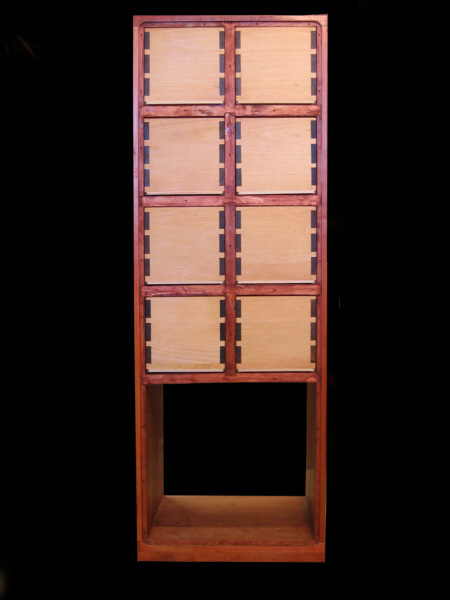 The rear view picture depicts the structural details of the cabinet showing the individually fitted drawers, each sliding in its own cubicle. 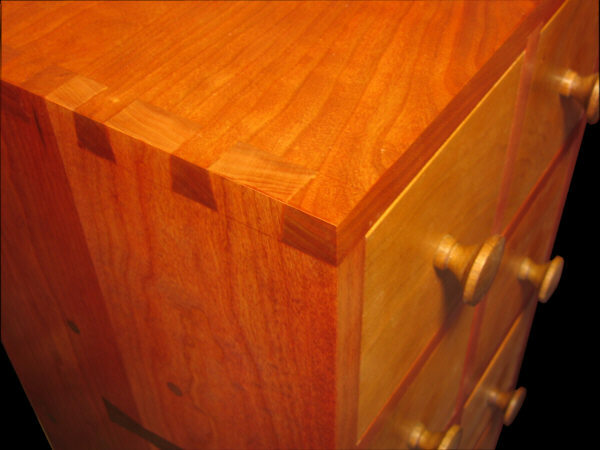 All drawers are made using hand cut dovetail joinery. 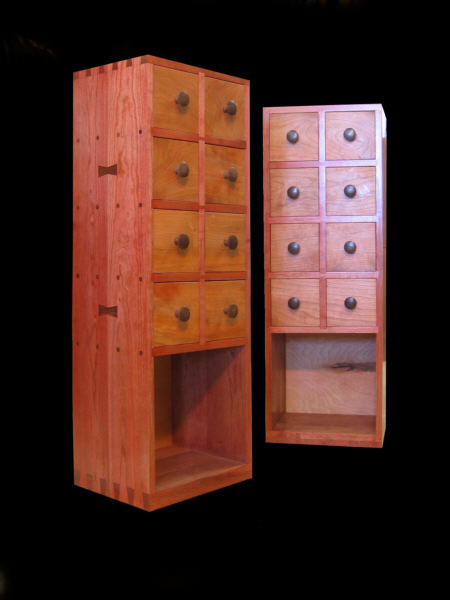 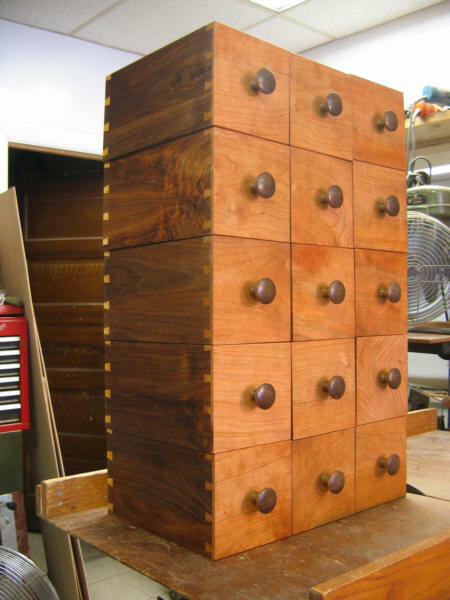 To a 4-drawer natural cherry CD chest.